Here’s a short video that help you understand how concrete grinding is done and why it’s so important. After you watch the video, call me at 480-418-1635, and I’ll be glad to answer your questions or set up an on-site visit to discuss how to prepare your subfloor. If you ever plan on having wood or laminate installed in your home, you may find that you’ll need concrete grinding to get rid of cracked, heaved, or shelved concrete. Please don’t forget about those large tiles or stone that you may want to have installed as well. If you want to have very narrow grout joints, it may be necessary to have your concrete sub floors ground level. Floor grinding is typical in our areas of the valley, and it is unusual to find a floor that doesn’t need some grinding. Our concrete grinding equipment is without a doubt the very best in the industry. We have purchased about $90,000.00 in specialized equipment that allows us to grind concrete dust free in your home. If keeping your home clean is important to you, then call us right now at 480- 418-1635! We own six 7″ grinders. get a chance to cool down in between. 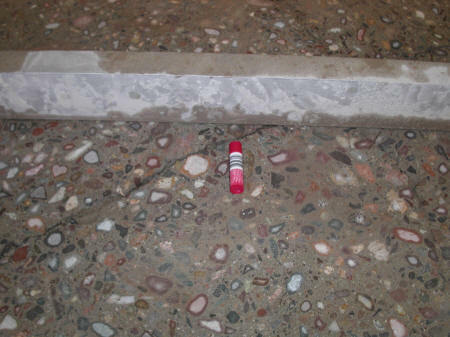 Besides grinding concrete, you may also need to level areas that are low. 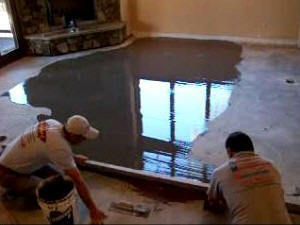 It is very common to need a combination of both concrete grinding and concrete leveling to achieve the best results. Our concrete grinding is provided in the following areas: Serving the Phoenix Metro areas, including Ahwatukee, Apache Junction, Casa Grande, Chandler, Central Phoenix, Desert Mountain, East Valley, Gilbert, Gold Canyon, Maricopa, Mesa, Paradise Valley, Peoria, Phx, Queen Creek, Scottsdale, Tempe, Prescott, Prescott Valley, Cottonwood, Sedona, Flagstaff.